Looking for great replacement options is actually easy. Just turn to Miami Somers, your provider of excellent entry and storm doors in Galloway Township, NJ. For this home improvement, we only use the highest quality selection from ProVia®, one of the industry’s leading manufacturers. 1. Durable and Secure Performance — Our ProVia® entry doors come in exceptionally strong materials. Our Legacy™ Steel options, for instance, are made from 20-gauge steel, offering 49% more galvannealed steel than other standard options. Choosing these for your entry doors in Avalon, NJ, lets you benefit from improved security. They have a rigid composite lock block that reinforces the lock and deadbolt area. Additionally, they feature composite top and bottom end caps, ensuring rigid and energy-efficient performance. 2. Increased Energy Efficiency — You’ll want an entry door that can help you lower your energy costs. This is achievable through ProVia’s Embarq™ fiberglass door. It has a 0.10 U-factor, the lowest recorded measurement for heat conduction for entry doors in the country. This makes Embarq one of the most energy-efficient entry door systems available today. This option also has insulation channels and polyurethane cores that contribute to its efficiency. You can also count on these doors in Cape May, NJ, for an exceptional barrier against drafts and energy leaks due to its dual perimeter seal. 3. Extensive Customization — The right entry door can match your home’s style and increase its curb appeal. Miami Somers carries Signet™ fiberglass doors. They can emulate the premium and natural beauty of authentic wood grain. This makes them an excellent choice for your traditional home. Signet entry doors are available in Cherry, Mahogany, and Oak series. Each wood option also comes in seven lovely stain finishes. You can further customize these doors with your choice of sidelite widths and heights. 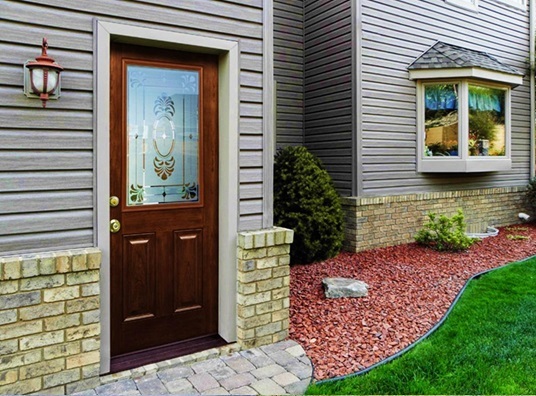 Entry door replacement can be easy and stress-free when you know which door brand to go for. With Miami Somers’ selection of ProVia® entry doors, you can experience a lovelier and more energy-efficient home. Fill out our form today for a free estimate.